CN Superstar Soccer: Goal!!! 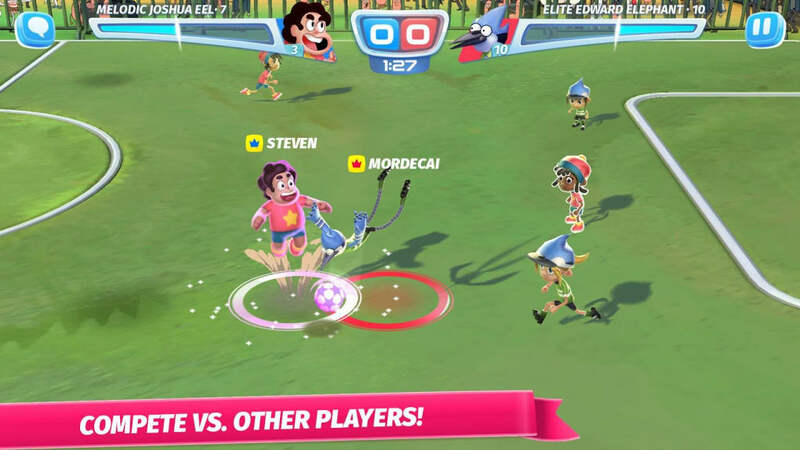 is an officially-licenced soccer (or "footy") game, made for both tablets and phones and featuring Cartoon Network's finest roster of characters, locales, and concepts. If a show's aired in the past few years, you'll likely find it represented here! 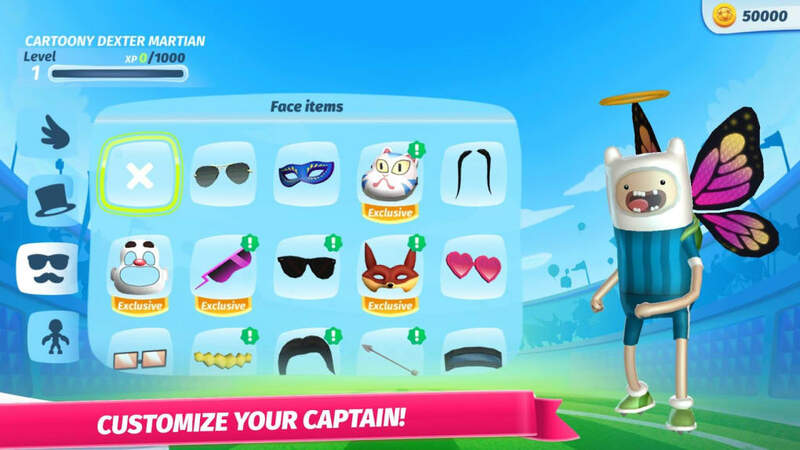 The game allows you to build a team based on one of those shows (although you can mix and match too), and have it out with other cartoons on the soccer field! Like most games made today, CN Superstar Soccer: Goal!!! gives you a measurable sense of progression. You gain team members, of course, but you also gain cosmetics to dress them up in. Steven or Finn in butterfly wings? Sure! 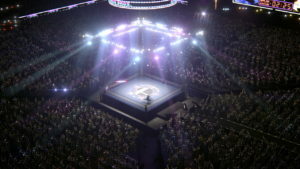 You'll also unlock game modes and arenas to match. But perhaps most importantly, your team members will gradually improve as they're fielded. The game has just enough action to appeal to younger boys, while providing an educational edge (and room for the smarties and adults in the crowd) by including tactics and team management. As a side note, if you've played previous CN Superstar Soccer games, this one ia significant improvement, in both gameplay and in characters. The only snag is that some older characters who were present in those games aren't present in this one, such as Billy and Mandy or the Powerpuff Girls. Still, odds are you can find at least a few characters to like in this one's cast. There's a variety of ways to play CN Superstar Soccer: Goal!! !, too. There are different cups you can participate in, leading up to the many-game Supreme Cup. 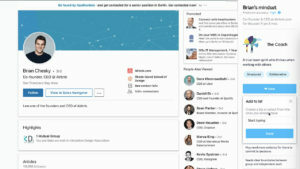 Someone who wants to play all of the different game modes and arenas will need to gradually build up a strong and useful team, which mostly depends on their own skill. Since the game is partly real-time, some reflexes are required, but at the same time, your team's statistics and the math behind them play a part, too. If need be, a player can lean on being either fast or canny and win that way... or develop a mix of both. Unfortunately, some of these high-level tournaments are difficult to play. It's not consistent, but the game often crashes after a few matches, or even when you've been customizing your team members for a while. 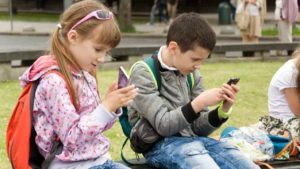 This occurs most often on older phones or tablets, and not really often at all on recent iPhones, Nexus phones, or equivalent tablets. But it's something to keep in mind before you buy. CN Superstar Soccer: Goal!!! is a great game to get for any kid with access to a tablet and a hankering for Cartoon Network. Adults looking for a fun and reasonably diverse mobile game, who like Steven Universe or CN's other all-ages fare, could also apply. In a game with character customization, a bit of both tactics and action, and familiar cartoon characters, you'll generally find something to like. Just mind the crashes! 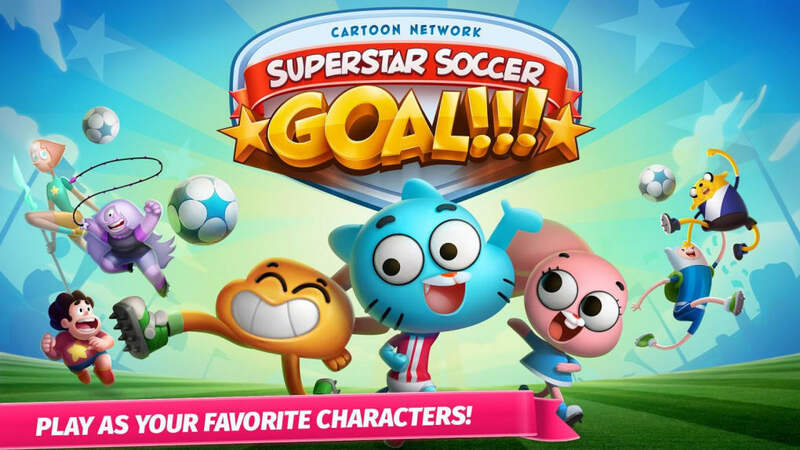 Related topics about Cartoon Network Superstar Soccer: Goal!!! User reviews about Cartoon Network Superstar Soccer: Goal!!! 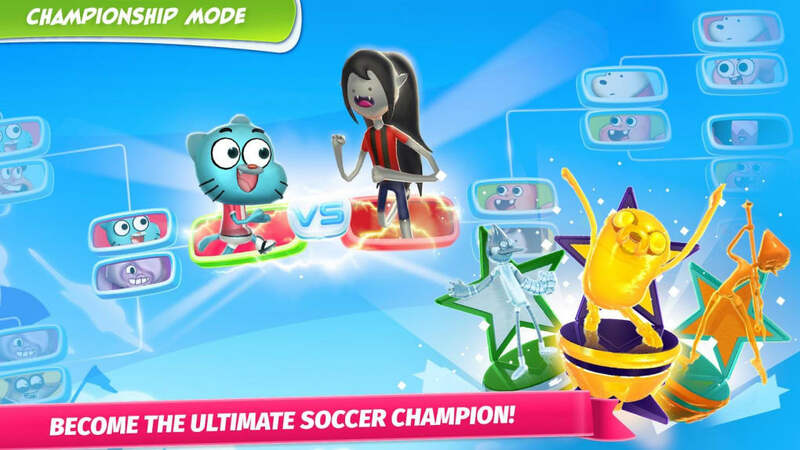 Articles about Cartoon Network Superstar Soccer: Goal!!! 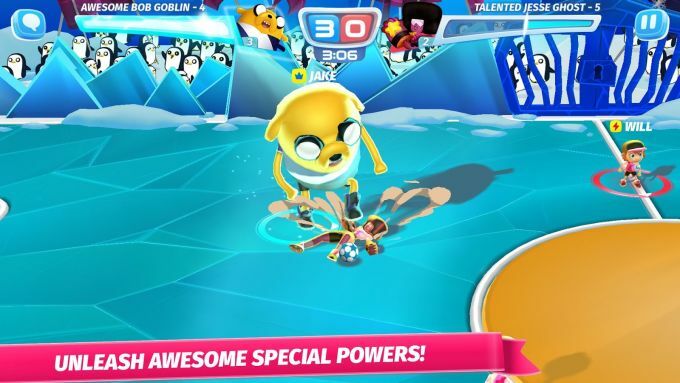 Your review for Cartoon Network Superstar Soccer: Goal!!! What do you think about Cartoon Network Superstar Soccer: Goal!!!? Do you recommend it? Why?